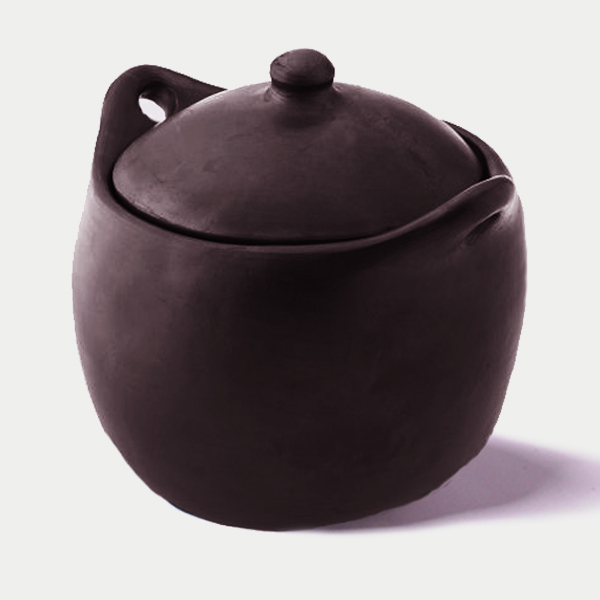 Because of its deeper, flat sided shape, the Black Clay, La Chamba Dutch Oven is one of the most essential pieces of cookware in any kitchen. It is perfect for long cooking braise and stew recipes. The flat bottom shape is well suited for gas or electric ranges, and can be placed inside of an oven to generate a slow even heat ensuring the complete tenderizing of meats and vegetables. Since clay is a natural and porous material, it does not react with the food and causes a slow evaporation of steam from the pores. The moist enclosed interior results in food that is healthier and tastier as it requires less fat and liquids. The beautiful black finish makes for a great presentation for family style service.